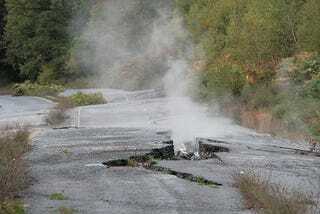 I took a drive from Buffalo, NY to Centralia, PA last fall as an extended day-trip. It’s an abandoned coal-mining town where an underground fire is still burning from 1962. If you’ve ever played the game ‘Silent Hill’, it feels a lot like that place.